Ten years ago, Samuel L. Jackson warned us about those motherfucking snakes. Now it’s real. On a commercial flight to Mexico City, there was an actual snake on an actual plane. A Twitter user kindly provided us with video proof of this extraordinary incident. 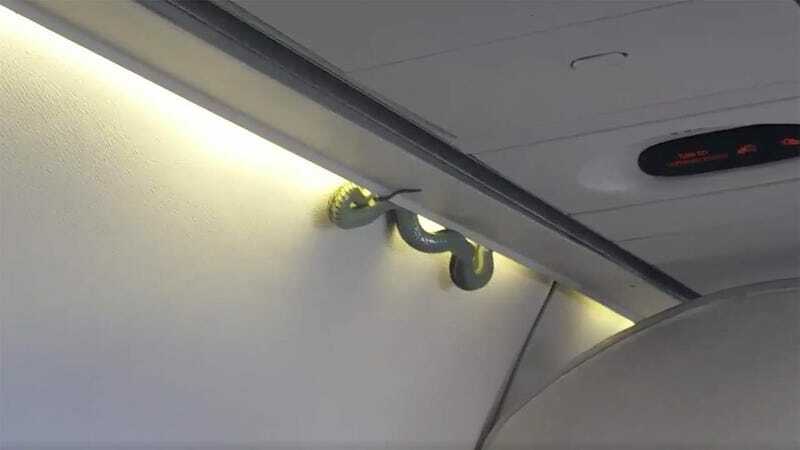 How did the snake get on the plane? How did it get loose? Is everyone okay? In a statement to the AP, AeroMexico said that the plane got priority landing and that workers “secured the reptile.” But honestly, if this flight crew doesn’t offer up a free showing of Snakes on a Plane on its next flight, it’s really missing an opportunity for greatness.